“Before I can answer a client’s question, you respond. I don’t feel like we are co-leading, but like I’m observing you lead,” I say to my supervisor three months into my predoctoral internship in clinical psychology regarding a Dialectical Behavior Therapy Skills group we are running together. What I leave unspoken is that the reason it takes me so long to answer is because I am trying to plan what I am going to say prior to saying it. I have the skill lesson I am supposed to teach well- rehearsed, but I flounder when clients ask questions I have to respond to on the spot. I am fearful of making a mistake and being viewed as incompetent. I feel intimidated by my supervisor’s knowledge of the treatment and leadership presence. I am constantly internally negatively comparing myself to her and trying to mask my anxiety and appear in control. “Thanks for the feedback,” my supervisor responds. She goes on to explain that sometimes she struggles with co-facilitating groups due to her own urges to be in control and do it the “right” way. She says that she wants to commit to holding back and leaving more space for me to lead. I am shocked! I expected her to tell me I was doing something wrong. I am not used to supervisors admitting faults or sharing their own inner experiences with me. My supervisor continues, “It seems like you have an edge about this.” Huh? What does that mean? 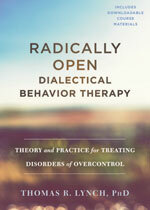 She explains that edge is a term in a new evidence-based practice she is learning called Radically Open-Dialectical Behavior Therapy (RODBT). She tells me that an edge as defined by Thomas Lynch, the developer of RODBT, is a personal unknown. It’s sometimes something we prefer not to admit about ourselves or may work hard to keep a secret or deny. I am aware of tension in my body and my voice shaking. As I continue to speak, the tears that have been building begin to fall. I tell her that I am beating myself up because I know that I am holding back in all aspects of my training (and actually life, if I’m being totally honest!). I share my lifelong avoidance of taking risks due to fears of making mistakes and being viewed by others as inadequate. I don’t want to feel stuck like this anymore, but I am not sure how to muster the courage to change. My supervisor explains that RODBT encourages the practice of self-enquiry about an edge, which helps us actively seek out the things we want to avoid in order to learn. She encourages me to goes towards the discomfort rather than explaining, defending or regulating. This interaction peaks my interest in RODBT and I dedicate part of my internship and my postdoctoral training to learning more about this treatment for disorders of overcontrol (OC). I soon realize that, as you may have guessed, I tend to lean towards an OC style of coping. My supervisor also identifies with being OC. I begin to receive supervision on RODBT from my supervisor and convince my husband to pay for a ten day intensive RODBT training instead of buying me a ring for our first wedding anniversary! Being a romantic, he said yes! Radical openness is experiential; therefore, as we both learned RODBT, used the model in individual therapy, taught RODBT skills class, and established a RODBT consultation team at our site, my supervisor and I also started to infuse RODBT concepts into supervision. We committed to giving each other honest, sometimes hard to hear feedback and directly addressing any issues that arose in our relationship, so that we could hopefully work through them. We practiced “outing-oneself” by revealing our self-discoveries to each other and reflecting back each other’s “blind spots.” My supervisor modeled humility and a willingness to learn from me and the world. She invited me to give input not only on the supervision process and our relationship, but also her leadership style in our work environment where she is in an administrative position and on her clinical skills. She allowed me to watch videotapes of her RODBT sessions with clients and give her feedback as a supplement to our supervision. She was concurrently receiving individual supervision on her RODBT cases and we would compare my feedback with the feedback she got from a senior clinician highly skilled in RODBT, which significantly advanced my learning of RODBT. She appeared to truly value my feedback, which felt empowering and greatly increased my confidence in my clinical skills. Practicing giving feedback to her improved my ability to do it with clients and also made me a more vocal member of the consultation team. My supervisor frequently asked me if I wanted feedback on what I was signaling to her. 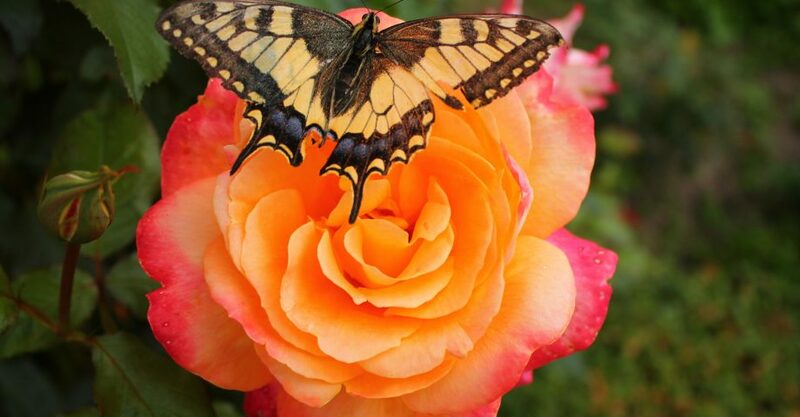 Since I was often unaware of the way my signaling may be interpreted by clients, coworkers and others in my personal life, I appreciated this “gift of kindness.” She asked me things like, “which has more of an edge? The fact that you don’t think the client likes you or the fact that you don’t like the client?” (ekk, do I have to answer?). Or she’d say, “What state of mind are you in?” (usually fatalistic!) She frequently suggested that I do self-enquiry about an edge that came up while discussing a case and we sometimes practiced the awareness continuum and other skills together. Sometimes, we’d give each other “targets” or homework of signals we wanted to change, such as me “keeping score” of how many times I changed my daughter’s diaper vs. my husband (my score was usually higher, for the record!). She also audio recorded the Loving Kindness Meditation, which I listened to on my way to the delivery room! As someone who often feels duty bound and behaves out of obligation, I “white knuckle it” and try to “power through,” which leads to burnout when working with high risk clients. This OC tendency was exacerbated this year by an infant that didn’t sleep more than 2 hours at a time and an 165 mile round trip daily commute. My supervisor helped me recognize this OC tendency and the way in which it is discrepant with my values and encouraged me to take breaks, rest, prioritize self-care, and work on balancing work and home life. Since we are both OC and tend to overextend ourselves (and then get bitter and resentful! ), we also practiced chilling out and incorporated playfulness and spontaneity in our supervision sessions. We practiced teasing each other, especially about some of our OC rules! While it can be helpful to be prepared for supervision, in the past, I used to take it to the extreme by scripting and rehearsing what I was going to say in supervision sessions. This was an attempt to decrease my anxiety, look like I had it all together and impress my supervisors. I’ll admit sometimes I’d say what I thought they’d want to hear. Using RODBT principles in supervision help me to let go of this and become much more authentic both in supervision and in the room with my clients. RODBT practitioners hold a belief that it is arrogant to assume we know what is best for clients. RODBT also proposes that the therapist respond to a client as you would a good friend. In this same way, my supervisor did not approach supervision from the position of an authority figure and being respected like a valued peer and given autonomy was extraordinarily helpful for my professional development. Her interactions with me demonstrated curiosity and how to ask, rather than tell, a critical part of RODBT. The way my supervisor responded to me felt genuine, differed from the more “professional” and sometimes distant stance I was used to in supervision and was exactly what I needed at that time in my training. I appreciate her humanness. I felt like she was “in it” with me and was willing to help support me and walk alongside me as I finished my degree and tried to become licensed. In response, I became more transparent and was willing to let go some of my perfectionistic tendencies and desires to impress her and genuinely share my emotions and reactions to clients in ways that increased my insight and improved my clinical work. I would love to say that everything about this supervision experience felt great, but that was not the case…but that is a story for a different day…stay tuned! Christina has a doctorate in clinical psychology and is pursing her license in the state of New Jersey. She is also a board-certified dance/movement therapist and has a strong interest in clinical applications of polyvagal theory. She was introduced to RODBT while on internship at Rowan University Counseling and Psychological Services in 2016. She stayed at Rowan CPS for a postdoctoral fellowship and was part of their first ever RODBT Consultation Team. 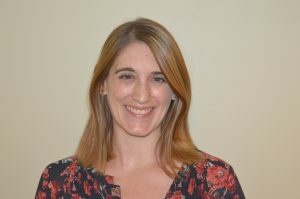 In September 2018, she will begin working at Family Health and Wellness Services, a group practice in Summit, NJ that specializes in Dialectical Behavior Therapy. She hopes to bring RODBT to the adolescents and adults there and continue to collaborate with her tribe at Rowan on RODBT research and projects.